Vitalik Buterin, the founder of Ethereum, tweeted that he would support the Raiden Network with his own fund, so that Raiden will not need an ICO. However, the Raiden’s Token (RDN) has been launched last week. Many people wonder how Raiden is able to attract such attention from Vitalik? 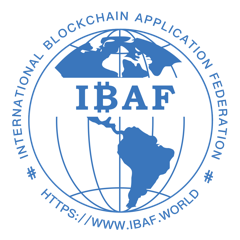 To solve the mystery, Bing Li (founder of the MuYan Blockchain College) and IBAF (International Blockchain Application Federation) hosted a Tech Talk regarding the value of the Raiden Network and its token. An important member from the Raiden team and Henry Wang (president of IBAF, founder of Firefly SmartMesh) gave their insightful opinion on Raiden and its future development. Last month, Vitalik stated the community shall scale to Visa levels capacity in just two years for a meeting at TechChrunch 2017. “I would say two to five, with early prototypes in one year. The various scaling solutions, including sharding, plasma and various state channel systems such as Raiden and Perun, are already quite well thought out, and development has already started. Raiden is the earliest, and its developer preview release is out already.” In this sense, the Lightning Network is the earliest scalable solution for Bitcoin, and the Raiden Network is the earliest scalable state channel architecture for Ethereum. What’s the value of Raiden’s token, RDN? “RDN token is not needed in the core of the Raiden Network”, the member of Raiden said. Essentially, opening or closing payment channels, sending transfers will not involve RDN at the protocol level. Such a P2P network (Raiden Network) needs auxiliary services like routing algorithms to find the best path from A to B, and to C, or monitoringservices to prevent cheating. The light clients in the Raiden Network, such as small computers installed on cellphones or cars, which would not wish to sync the entire blockchain, may use the RDN token to pay for such auxiliary services in the system. RDN token has a fixed supply, so the more users using it would lead to a higher valuation. The Raiden team believes that this token is to align all stakeholdersand keep the expert team working on the technology. With their own token, the network would be more secure on the Ethereum network. Raiden mentioned that at least three of the Raiden developers helped developing Ethereum from the very beginning. And as a result, Raiden and Ethereum are well connected from development perspective. From the technology perspective, Raiden also works with other EVM compatible blockchains currently and could be compatible with cross-chain token transactions in the future. 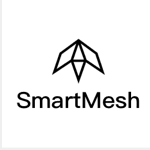 Firefly SmartMesh is a mobile device protocol network, where cellphones are connected through WIFI, Bluetooth, ANT, and other near-field protocols. 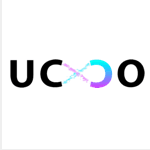 User can send text message, make voice and video call, and browse SmartMesh cached distributed web pages while without any internet connection. If one device of the network has internet connection, the entire SmartMesh network can connect to the internet via Raiden Network based SmartMesh micropayment extension. Micropayment incentivize users with internet connection to share the connection with the entire SmartMesh network, which would be an ideal solution for congestion issues in the big cities as well as connecting 4 billion people unconnected for living in areas with no or under-developed telco infrastructures. As a pioneer of off-internet communication, Henry, the founder of SmartMesh mentioned that the collaboration between SmartMesh and Raiden would accelerate the development of payment routing technology. There are some mesh project doesn’t provide token circulation mechanism correctly even in whitepaper because the Ethereum transaction is too slow and it cannot support their described way of on-chain token incentivization. Some provide a correct way to do token circulation mechanism. 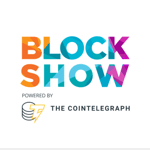 Unfortunately the way they described is that they are going to do it by themselves from creating state channels to building large routing mechanism. That will take several years for sure. Raiden developed for two years, why not Firefly SmartMesh works with Raiden to accelerate the state channel and payment routing mechanism, so we will be the first to have practical SmartMesh product reaching the market. Nevertheless, Raiden Network could not work without the internet, while SmartMesh’s Raiden extension can change that, and make mobile, off-internet micro payments possible. Henry stated that this would be the first time in the history that human-being can make crypto payments without the internet. Raiden stated that “blockchain is a collaboration topic at it’s core, and it’s open source. That’s perfect for working together.” All the third party Raiden service providers and partners can benefit and make profit by providing services and get RDN as rewards.